Want to win a one-year SparkChess Premium Live membership and a one-year Chess4Life Online Premium membership (valued at $99) at online.chess4life.com? In the comments to this article, ask National Master Elliott Neff a question. On May 25, SparkChess writer Alexey Root will select the five best questions from the comments. The commenters who asked the “five best” questions will each win a one-year Premium Live membership to SparkChess. The very best question will win both a one-year Premium Live membership to SparkChess and a one-year Chess4Life Online Premium membership to online.chess4life.com. In this article, I (Alexey Root) asked Elliott Neff three questions. This article has my questions and Elliott’s answers. However, you probably have more questions to ask Elliott, founder of Chess4Life and author of the forthcoming book A Pawn’s Journey: Transforming Lives One Move at a Time. Ask your questions in the “comments” area to potentially win membership prizes. Alexey asks: In my previous article for SparkChess, you taught the king, bishop, and knight versus king checkmate. What endgame checkmates do you teach, and in which order? Philidor’s defense for rook and king drawing vs. king, rook, and pawn, also taught in this SparkChess article. Lucena position for king, rook, and pawn winning vs. king and rook, also taught in this SparkChess article. King and queen vs. king and rook. For the endgame checkmates and positions listed, I first show students the final position (such as the checkmate or stalemate) so they know the goal. Then I back up the position move by move to a more challenging start position, such as when the defending king is in the center rather than on an edge. As I show typical series of moves from the start to the end, I share simple-to-understand principles, ensuring that students grasp exactly what to do and the reasons behind moves. My students do NOT just memorize moves. Alexey asks: How are you and Chess4Life involved with the real-life chess players portrayed in the book and film Queen of Katwe? Elliott answers: I first heard about the Queen of Katwe book in 2013, and hosted a fundraiser chess tournament for Robert Katende, Phiona Mutesi, and the SOM Chess Academy in January of 2014. The tournament winner got to play Phiona in person when they visited the Seattle area. At the time, I had no idea about a potential Disney movie. I was struck by the obstacles that Robert and Phiona had overcome. After meeting them, at Robert’s request, I started helping Phiona prepare for the 2014 World Chess Olympiad. At the same time, I also donated a number of resources including Chess4Life curriculum tools to Robert, to help more students in Uganda. We had a series of Skype lessons, including during the Olympiad in 2014, to prepare for Phiona’s games. In 2016, I traveled to Uganda to help Phiona prepare for the 2016 Olympiad. While there, I also helped the Ugandan Women’s Olympiad team prepare. It was quite a journey walking the streets of Uganda where the movie was filmed, meeting the chess Pioneers, and seeing real life in Uganda. When the movie came out, I attended the red carpet premiere in Hollywood with Robert, Phiona, and others. During this time, I reached out to Dr. Joseph Castleberry, President of Northwest University (NU), who gave a scholarship to Phiona. Phiona and Benjamin Mukumbya (also portrayed in the movie and also given a scholarship to NU) started a NU chess club, then a chess team. The NU team competed in the Pan-Am Intercollegiate Team Chess Championships in December of 2017 and won the small college division! You can read more about my initial involvement with Phiona and Benjamin at the gofundme page linked here. While their NU scholarships cover their tuition, Phiona and Benjamin still have additional expenses. Please support them through the gofundme page for additional years’ expenses such as books, flights back and forth from NU to Uganda, cell phones, etc. Thank you! ? Alexey asks: Tell me other ways you are involved with chess and chess players. Elliott answers: These days, I don’t play in-person tournaments but I play online. My older three children (ages 7, 6, and 5) play in-person tournaments regularly, as I wrote about in this article. I’m quite involved with organizers in Washington State putting on the elementary chess championships (regularly over 1200 participants). I started a nonprofit to help fund students who need financial assistance to participate in learning and competing in chess. Additionally, I serve on the US Chess Federation’s Scholastic Council (SC) and just recently was the official SC rep for the 2018 National Elementary Chess Championships in Nashville. I serve in this volunteer role to improve scholastic chess in the United States. I want to achieve the goal of one million children per week learning life skills through the game of chess. To achieve this goal, Chess4Life partners with schools, districts, and other organizations nationally in order to empower teachers and many others to accomplish this mission. Most recently, Chess4Life introduced 600 of the most-needy preschoolers in our communities to chess, partnering with Head Start in Washington State and funded by the Boeing Company. There is a third-party study underway showing the results of this initiative as we help these preschoolers develop the skills they need to be ready for success in kindergarten and beyond! I am also the CEO of Chess4Life, a for-profit entity with headquarters in Bellevue, WA (near Seattle). Chess4Life serves thousands of students weekly, and handles the licensing of tools nationally. The competition is now closed. We thank everyone who participated. Alexey and Elliott will announce the winners very soon! Best of luck! We have contacted the winners to receive the prizes. The winner of the Chess4Life Online Membership will be announced along with the answers to the 5 questions by Elliott Neff himself. what is the best reply to 1 f4 ? So let’s say that chess were to be solved in the next few years, and we were all shocked by what should’ve been an impossibility: it’s black that wins with perfect play. Would the overall winning percentage of the players playing the white pieces drop due to their newfound knowledge? I know it’s a dumb question, but for some reason I am just extremely curious about this. The idea is that neither player would know the solution to solving chess – only that it had been solved, and that the outcome was white to play = zugzang. How much, if any, would this knowledge affect the psychology of future chess players as it pertains to black’s winning chances? Tom Entrikin here. Just saying hello. Your a great man. Many fond memories of you. Here’s my question to win the prize. 🙂 Are you still mastering the piano? Hello, could you please explain or at least elaborate on the old adage “Chess is a sea in which a gnat may drink and an elephant may bathe” ~Indian Proverb, for those of us like myself who have yet to fathom! It’s hard to find people who are interested in chess these days, especially in Gen Z who spend every hour they can online on social media. My question is, how did you manage to pull people, especially ordinary teenagers, into the world of chess? How do you convince your friends to play chess with you!? 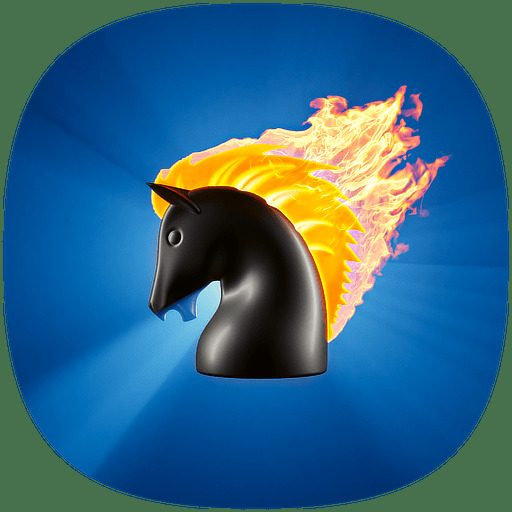 I don’t want to find other chess players, we have SparkChess for that! I want to be able to pay a fun and light game with family and friends every now and then and have them ENJOY playing too! Why not the rule about ‘Stalemate’ should be changed because it makes equal the stronger side and the weaker side in the form of a draw ? I suggest that,to start with, the ‘Undo’ option should be made available in case of an stalemate on ‘Sparkchess’ , so that the client/player can be saved from disappointment after an excellent performance throughout the game . What questions do you ask yourself before you make any general move? If chess were to have another piece introduced to the gAme what would you call it? And what would be its move pattern. How can i get better at chess? Do you have a top tip to become a chess master? Elliott, what is your preferred initial mobilisation strategy? I don’t think you can plan too much for end-game or even mid-game because it always depends on what your opponent does to you! I started playing in schooldays and am now 62. The favoured strategy at the time seemed to be to concentrate initially on occupying the centre of the board where your pieces can attack more spaces. What’s the best way to win with sacrifices at the opening of a game? Have you ever played the grand master Calvin, in Ohio? I am Devanshi Rathi, founder of Project Checkmate. I teach chess to the underprivileged and blind children in my community. I have seen the Queen of Katwe in a special screening organised by the Salaam Balak Trust in my city and would like to ask you for tips for improving my students’ play. What do you suggest is the best way for one to improve? It is quite difficult to get the funds for their travel to different tournaments and also there aren’t many books accessible in their version. What is the best way to learn fundamentals of playing chess well? Can you truly figure out how to beat someone with their first 3 moves? I already know the answer to this…and it DOES make perfect sense. Some players will ask if you can ever place yourself in check to place your opponent in check. (From what I heard, many attitudinal players actually get into fisticuffs over this “controversy”). If you reply back to this, then I will tell you the answer (actually NO you CANNOT) and the REASON!! I’ve been wondering about trapped positions called “Zugzwang” and “Zwichenzug” that are supposedly deadly to the opponent. I was just wondering what exactly they are and what caused them to be so deadly to the opponent. If they are in fact destructive, I would like to know how to achieve the position in a game. I was also curious about the Maroczy bind, and what the pawns do that make the opponent cramped, because when I looked at a game by Bobby Fisher, he said that he intentionally let the opponent achieve a Maroczy bind so that the would have to break it. In the end Bobby won, so I was wondering if it actually was devastating. I am an unrated junior high student with an approximate rating of 2300 wanting to improve my chess skills. What would you suggest that would help me reach a level of 2600? I have been trying to play blindfold with my friends at school, and I can beat some of them, but the better players are hard to beat blindfolded. Do you have any suggestions to how I can better play blindfold against my opponents. Another problem for me is playing two or more people blindfolded at the same time. While I do it, I often lose track of where the pieces are for both boards, and I have to ask where the pieces should be. Is there an easy way for me to keep two or more boards in my head. Can you show me a game that you win in less than 30 moves? And could you explain me through that game? Thanks. Hey! My question is that your book A Pawn’s Journey: Transforming Lives One Move at a Time is based on a true story so were you the mentor who guided that girl in real life? and in your opinion what are the reasons for relating chess to real life? I am 60 years old. I have always admired the game of Chess. My sisters and teenage grand kids play. What is the best way to learn the beginning basic’s of Chess. Is there more meaning to the pieces of Chess ex: King, Queen, Bishop, Knight…. Did chess “save” you, as a kid? Have you seen a chess champion who does not use any of the known openings and win? In other words a can a person not familiar with the known openings win? My question is: How did you make chess appealing to 13 year olds like me? I mean there are other games that I could play. As a teenager, my aspect on the world isn’t as grand as older people. I never grew up in the time when chess was popular? But now, I see more teenagers playing chess than RPG games or shooter games or the famous .io games. Another question is: When did you learn how to play chess and why did you learn? Were you always interested or did your interest just spark at a random age?